She’s an adventurous lady. That’s for sure. But not an adrenaline junkie. Not a barmy thrill-seeking, middle-aged woman who is rebelling against the inexorable slide towards chutney making at the Women’s Institute. It’s just that she’s reached a time in her life when she wants to experience “stuff”. And according to research there are countless women who feel the same and are embarking on great travel experiences as their lives at home start to simplify – and according to some research it it the girls who are more adventurous than the boys! Fair enough, I say. Macchu Picchu, The Great Wall of China, Cambodia – adventurous without being unreasonably reckless. The travel trade, rather patronisingly in my view, dubbed this sort of thing “soft adventure” some years ago. So there we were the other evening talking about some of the things that Bon Voyage offers to its clients. A glass of chilled Sauvignon blanc may have been involved. 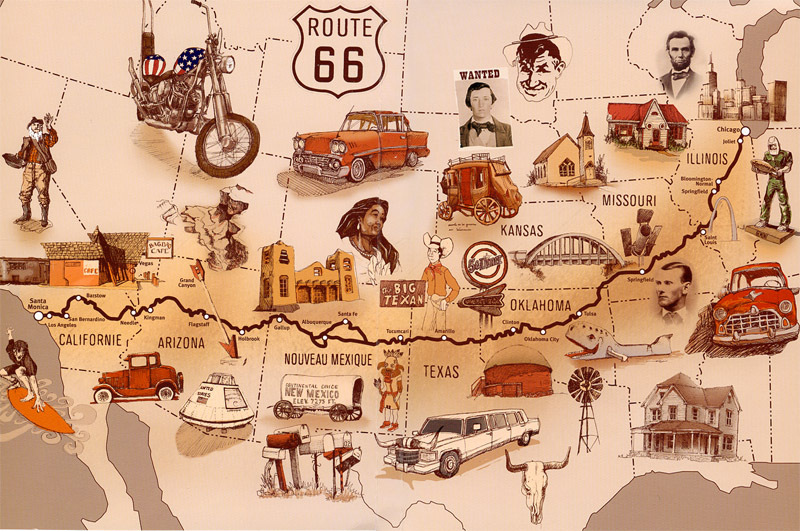 “Hey, I’ve done that, and it was great fun,” she squealed, rather animatedly, when I mentioned Harley adventures across America (click here for info), and in particular the iconic Route 66. 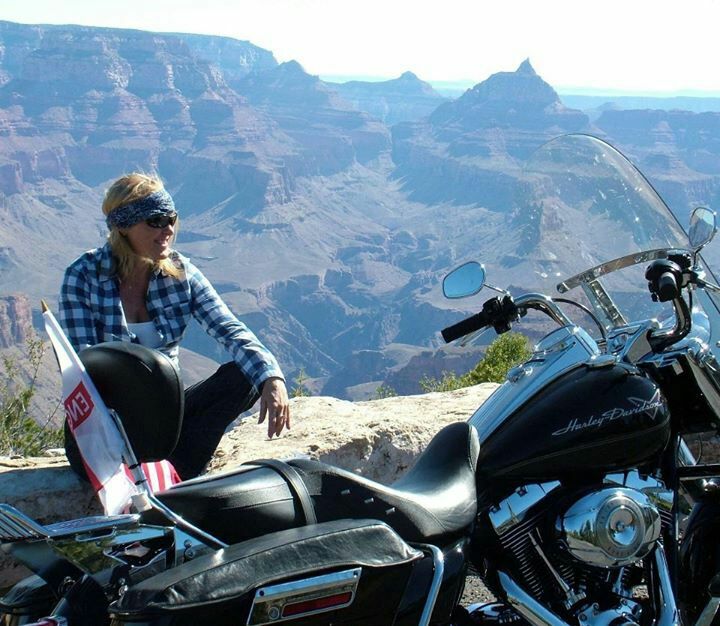 It turns out that she was a pillion passenger on a Harley and did part of Route 66, up to the Grand Canyon and then on to Las Vegas. “No more so than riding the bike” she replied “but at least those bikes are built for comfortable cruising. And the amazing, breath-taking scenery is constantly changing. But it was sooo much more exciting than that” she gushed. “Riding without a helmet and the strange feeling of vulnerability, yet freedom, chasing a mile-long freight train , joining a group of hairy bikers for part of the trip , eating at the Road Kill Café and experiencing some parts of the Grand Canyon that we might never have seen. The exhilarating sweeps and twists of Red Rock Canyon to Sedona and wanting to exchange the bike for a horse, chaps and a cowboy hat! The ferocious sun burning through my jeans, and even the taste of the dust after a day on the road, and the sweet ecstasy of washing it away with an ice-cold beer. But it can get really hot coming down through the high plains at the Canyon and down into the desert as you approach Las Vegas. What with the sweltering desert temperatures and the heat coming off the Harley, I couldn’t wait to get off the bike and into the pool! Oh and to the shops at Caesars…erm, for the air conditioning, of course”. Of course. So I guess at Bon Voyage we might have been guilty of thinking that Harley holidays would only appeal to the boys. Maybe living the Harley dream – the open road and bugs-in-your-teeth cruising on a throbbing, classic motorcycle – appeals to a wider demographic that includes the girls too! If you like the sound of a Harley Davidson holiday in America click here. About the author: Phil Newcombe is a director of Bon Voyage. Nick Dalton is a travel writer and expert in both cruises and American destinations. Following his recent journey on the American Queen he has kindly allowed Bon Voyage to feature his article that appeared in the Daily Express. 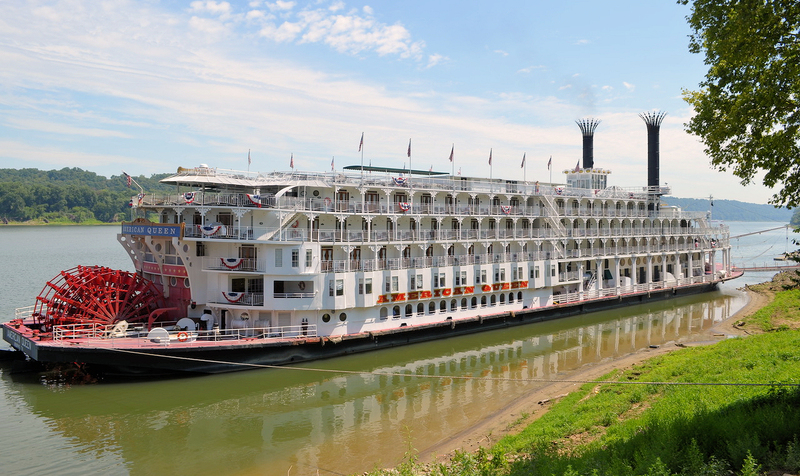 “I’m sitting on deck hypnotised by the relentless flow of the mighty Mississippi as the paddle steamer American Queen heads upstream. 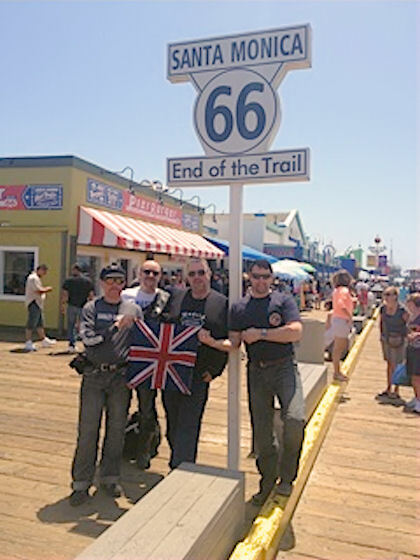 Santa Monica Pier – the end of Route 66. Day 1: May 2012. Getting there.